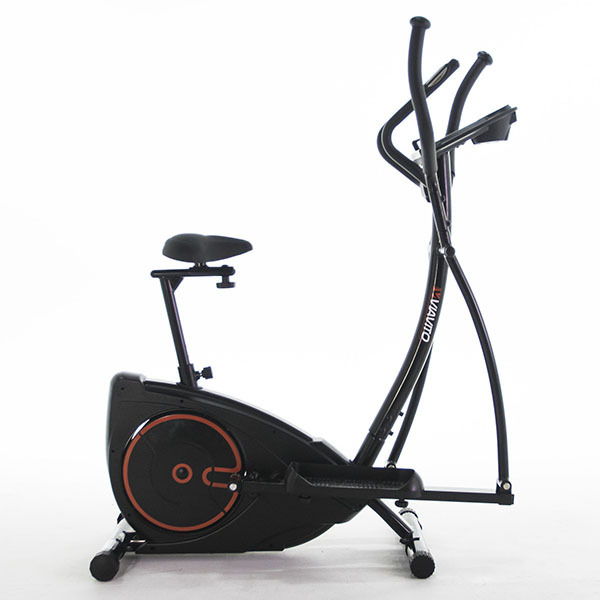 The Sole E25 cross trainer from Sole Fitness is an impressive machine. 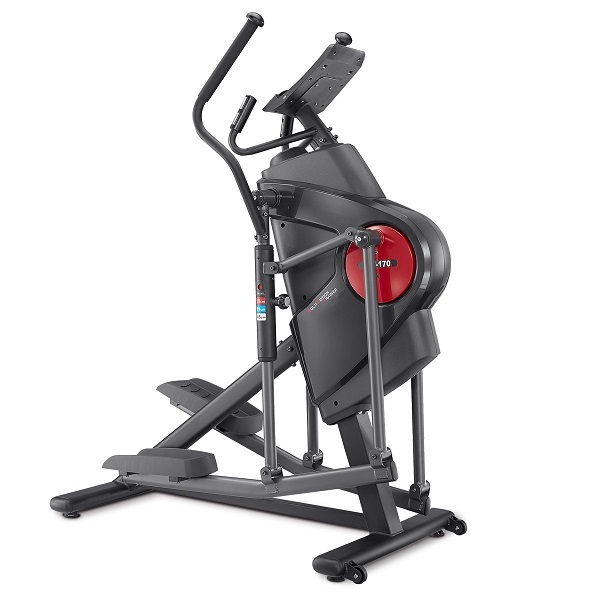 One of our favourite machines of 2011 was the Fuel Fitness E25, which is no longer available. 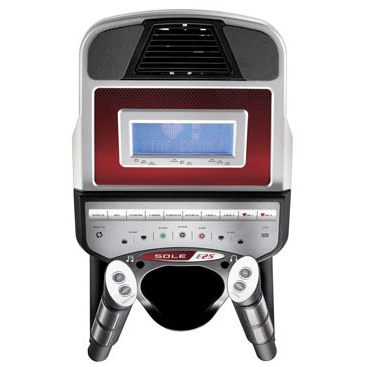 Sole Fitness is the premium sister brand of Fuel Fitness and this upgraded E25 is one that we’re very excited to review! The first thing any fortunate purchaser of this machine will notice is that it’s absolutely rock solid and passes the ‘shake test’ with flying colours. Little wonder with the weight of the machine itself being nearly 100kg! The sheer quality of the machine becomes apparent when it’s first used. The smoothness of the stride action can only be described as silky! The combination of the double rail design, heavy flywheel and an internia weight of over 35kg result in an experience that really has to be tried to be believed. 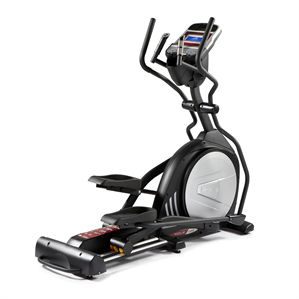 The stride length on the E25 is a nice and long 20 inches, ensuring that it’s suitable for even the tallest of fitness enthusiasts. 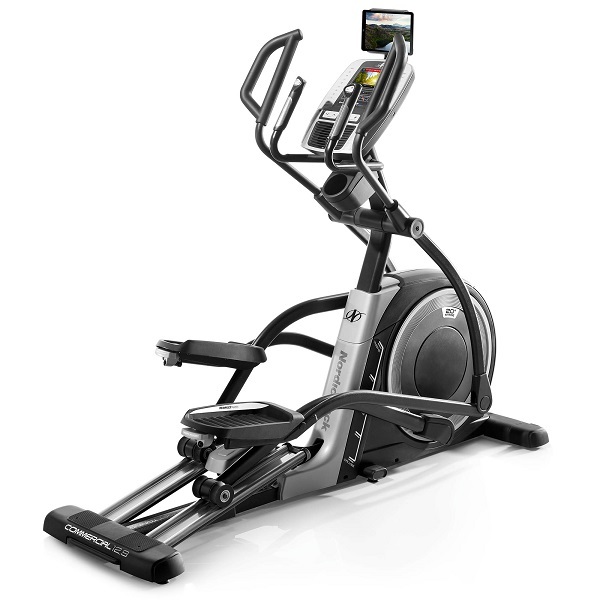 Most elliptical cross trainers have a fixed stride pattern with the difficulty being adjusted through altering the resistance level. 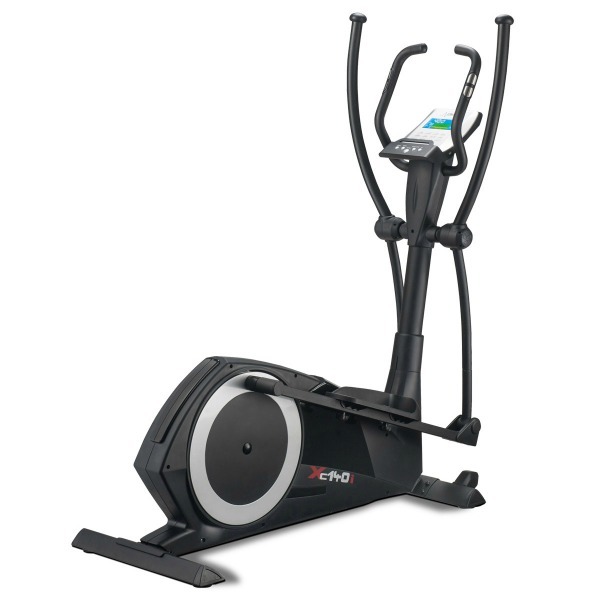 One of the major differences between the E25 and most other cross trainers is that it features an incline ramp. This was one of the major attractions of the previous Fuel E25. That model had a 3 position manual incline ramp, which is replaced by a 20 position powered ramp, which is electronically controlling through either the console or the handlebar quick keys. This manual incline ramp is very easy to operate and can be set to three prositions. The effect of this is to change the stride pattern with the effect of targetting different muscle groups. The footplates on the E25 a oversized and comfortable to use. Interestingly, the footpedals are designed with a 2 degree inward angle that is supposed to reduce knee and ankle strain. Whilst your reviewer can’t confirm the science behind this, we can certainly confirm that the the motion feels most natural. The console is clear, simple and very easy to use. Whenever user input is needed, the scrolling message provides clear instructions of what is required. This is much more intuitive to use than many cross trainer consoles where the parameter that needs to be set just flashes on the screen and the user is expected to figure out what’s being asked for by understanding a small acronym next to the flashing number! A simple button on the console enables the feedback provided to switched between time, programme name, distance and speed, rpm, watts or calorie consumption + heart rate. In terms of programmes, there is a manual programme, 5 preset programmes, each of which may have its maximum intensity level set as well as two user defined programmes. 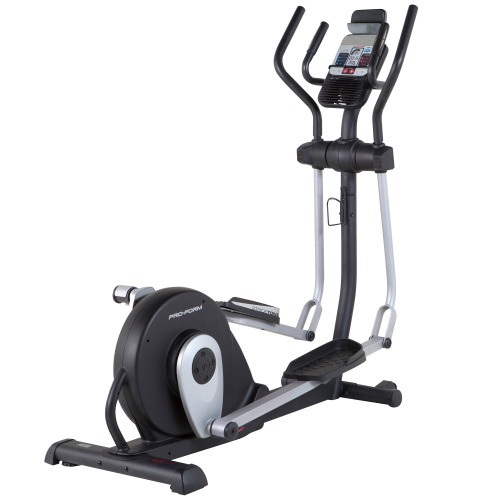 In addition to this, there are two heart rate controlled programmes, which require the use of an optional chest belt. 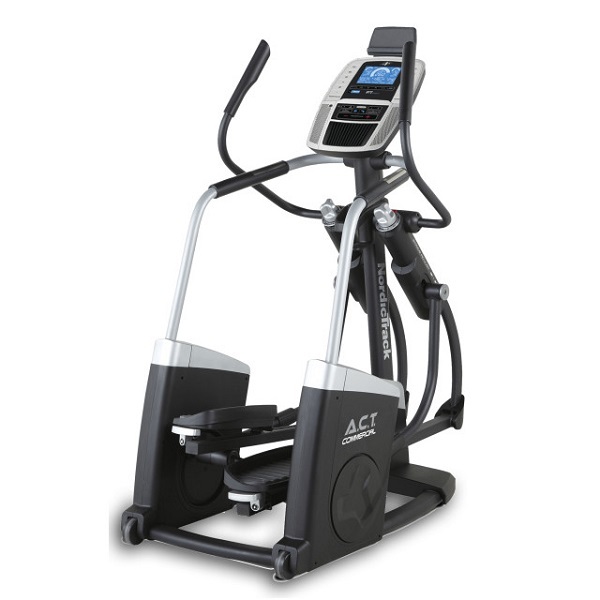 When using the programmes, the benefits of the powered incline ramp become clear as the preset programmes control both the resistance and incline levels. In addition to providing a much more interesting workout, the programmes result in a wider range of muscle groups to be exercised! The console also features a cooling fan as well as a set of speakers and is supplied with an audio jack that can connects to a standard headphone socket of most portable music players (such as an iPod). 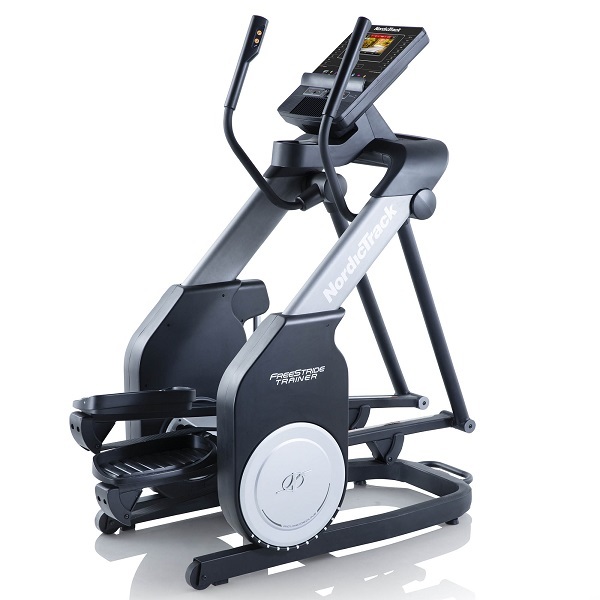 Naturally, with small speakers, the audio quality is a bit ‘tinny’ but for speakers on a cross trainer, they’re ok.
Another highly attractive characteristic of the Sole E25 cross trainer is the small footprint, which measures 1.8m by 0.6m. The majority of of front drive machines with a 20 inch stride legth have a noticeably larger footprint. 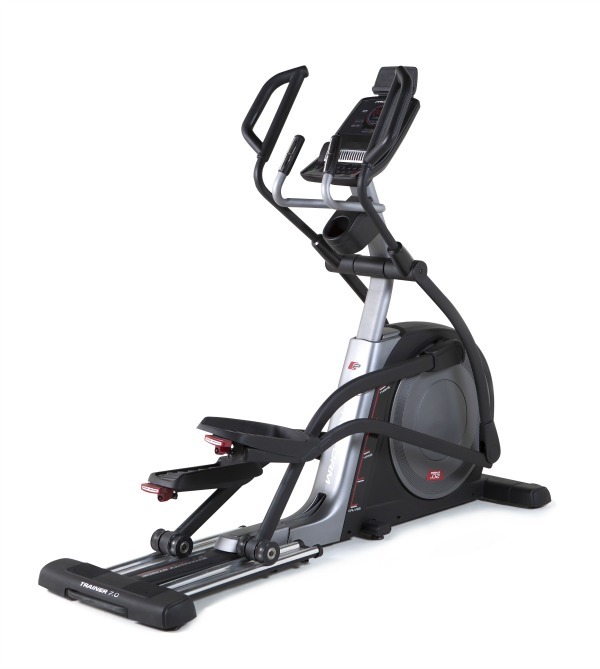 The Sole E25 breaks the traditional rule that a larger footprint translates to a better, more sturdy machine! 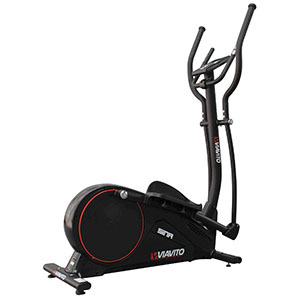 Finally, the warranty on this cross trainer is pretty stunning and a testament to the confidence that Sole Fitness have in their product range. Like all Sole Fitness products, there is a lifetime parts warranty as well as 3 years on-site labour.